Until recently, owning large-cap stocks was the best way to make money in the stock market. A large-cap stock is a publicly traded company with a stock market capitalization (the total value of all its shares outstanding) of more than $10 billion. The outperformance of large-cap stocks over the past 10 years should come as no surprise. The Federal Reserve poured trillions of dollars into the economy in the wake of the Great Recession. Big companies benefited the most since they were able to borrow large sums of money cheaply and use it to invest in the growth of their businesses. They also used it to repurchased millions of shares of their own stock to improve earnings on a per-share basis. However, the days of cheap money are over and the Fed is now aggressively raising interest rates to keep inflation at bay. That means big companies will have less money to invest in the growth of their businesses and fewer dollars with which to buy back their own stock. For that reason, mid-cap stocks are poised to perform well in 2019. They are cheaper than large-caps stocks as measured by their forward price-to-earnings ratios (FPEs). They are also less susceptible to trade war collateral damage since most of them do business primarily in the United States. Want to know what mid-cap stock we believe will perform best heading into 2019? If you’re in a hurry, below are our top mid-cap stock picks for 2019 as of this writing. BJ’s Wholesale Club: Undervalued retailer with expanding profit margins. Steelcase: Furniture manufacturer gaining market share. Chemours: Global demand for eco-friendly specialty chemicals is rising. 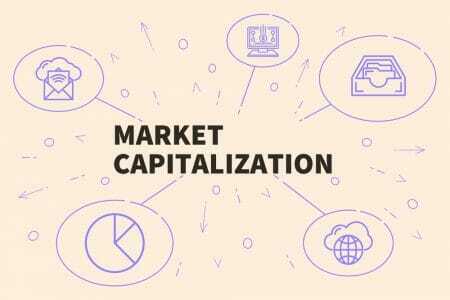 A mid-cap stock has a stock market capitalization of $2 billion – $10 billion. These companies are sometimes referred to as “Goldilocks stocks” because they are not too big and not too small, but just the right size to grow earnings at a sustainable pace. To give you a sense of scale, at an average market cap of $5 billion it would take about 200 mid-cap stocks to equal the size of Apple (NSDQ: AAPL). Apple has been a great stock to own over the past 10 years, increasing more than 10 times in value since 2009. However, it is unlikely to repeat that same rate of growth over the next ten years. It is much easier for a $10 billion company to grow to $100 billion than it is for a $100 billion to grow to $1 trillion. How Do You Determine What Qualifies As a Top Mid-Cap Stock? Can grow its sales revenue and profits at a faster rate than the overall stock market. Is able to reinvest its excess cash flow at a high return on equity (ROE). Has a market-leading product in a high-growth industry or sector. Unlike many large-cap stocks that share their financial largesse with shareholders in the form of regular cash dividends, most mid-cap stocks reinvest their profits back into the growth of their businesses. Consequently, dividend yield is not an important consideration when evaluating mid-cap stocks. Instead, we look at operating metrics such as ROE to determine if a company’s management team is allocating financial resources effectively. In effect, your “dividend” as a shareholder of a mid-cap stock is the increasing value of your equity based on how that excess cash flow is being reinvested back into the growth of the business. To do so, the company must have one or more market-leading products for which there is growing demand. That does not mean that the product must be a cutting-edge technology. In fact, some of the most successful mid-cap companies sell mundane products that most consumers use on a daily basis. Here are three mid-cap stocks that we believe will reward their shareholders with strong market performance in 2019. BJ’s Wholesale Club Holdings (NYSE: BJ) originally went public in 1997 as a spin-off from Waban. It was taken private in 2011 and returned as a publicly traded company in 2018 via an IPO (initial public offering) at a share price of $17. At a recent share price of about $28, BJ has a market cap of $3.8 billion. BJ’s is a “big box” retailer similar to Costco (NSDQ: COST) and Walmart (NYSE: WMT) Sam’s Club. BJ’s operates more than 200 stores and gas stations along the east coast of the United States. BJ’s has more than five million members that spend over $12 billion annually. Why is it a good mid-cap stock? The company recently increased membership fees by 10%. Despite the higher annual fee, membership renewal remains at all-time high levels. BJ’s upper-income customer demographic exposes it the healthiest segment of consumers. Profit margins are increasing dramatically. BJ’s narrowed the number of store-brand labels from 10 to 2 over the past few years. This streamlining has helped store-brand label products, which produce higher profits, grow from 10% of sales to 19%. BJ’s scale allows it to gain pricing leverage with suppliers, which in turn boosts gross profit margins. Disciplined management has kept operating expenses steady. Expanding product margins, flat expenses plus mid-single digit revenue growth is a fabulous formula for double-digit earnings growth in 2019. Steelcase (NYSE: SCS) was founded in 1912 and is based in Grand Rapids, Michigan and has over 12,000 employees. At a recent share price of about $15, SCS has a market cap of $1.7 billion. The company manufactures office furniture that is sold through over 700 dealers around the world including online e-commerce giants Amazon (NSDQ: AMZN) and Wayfair (NYSE: W). Steelcase is morphing its corporate furniture to fit into today’s office and hospitality lifestyle. Profits struggled in 2018 as the company revamped its product lines to entice customers. Recently, management called out a moderate but notably positive shift in customer ordering patterns, which helped the company rack up a banner 2019. For fiscal 2019, the company recorded $3.4 billion of revenue and net income of $126.0 million, or diluted earnings per share (EPS) of $1.05. Adjusted earnings were $1.20 per share. In fiscal 2018, the company recorded $3.1 billion of revenue, net income of $80.7 million, diluted EPS of $0.68 and adjusted EPS of $0.91. It was one of the best annual operating results that Steelcase had reported in more than a decade, a welcome performance after a difficult 2018. The Chemours Company (NYSE: CC) is a specialty chemicals manufacturer that was spun off from DuPont in 2015. The company is divided into three operating divisions: Titanium Technologies, Fluoroproducts, and Chemical Solutions. At a recent share price of about $38, Chemours has a market capitalization of $6.3 billion. For full year 2018, Chemours reported global revenue of $6.6 billion, a year-over-year increase of 7%. Net income reached $995 million, up 33%, with EPS of $5.45, up 39%. Most of the revenue (nearly 40%) came from North America, with the rest split among Latin American, Asia, Europe, the Middle East, and Africa. Nearly half of all sales came from the company’s titanium technologies, and the other half was split between its fluorproducts and chemical solutions. Management recently noted a new channel of demand opening up for the company’s environmentally sustainable Opteon refrigerant. Opteon is a refrigerant designed to meet strict global warming requirements for air conditioning units in automobiles. Although the company might see less demand from European car manufacturers due to the passing of mandate deadlines, a new wave of demand is emerging from U.S. automakers and European commercial refrigerator customers. Management projected that about 20,000 European supermarkets will use Opteon by 2020. In addition, revenue and profits from the company’s titanium coatings chemical are skyrocketing. Revenue from this product line now makes up almost half of Chemours’ revenue and it’s growing by double digits on a quarterly basis. Higher volumes and pricing are driving profits up even faster for this segment.